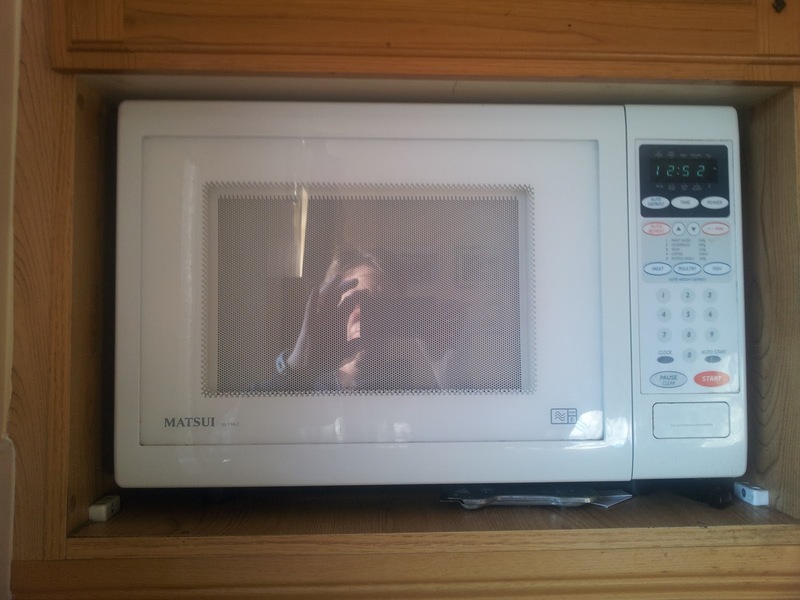 Brian O'Donovan (aka BOD): Does the clock on my microwave consume more power than the heating element?? Does the clock on my microwave consume more power than the heating element?? According to this article in the Economist "a typical microwave oven consumes more electricity powering its digital clock than it does heating food". This seems very surprising to me so I decided to test if it is really true by using the individual appliance monitor that I bought from Current Cost Ltd. to monitor the electrical power consumed by my own microwave oven at home. When not cooking food, my microwave consumes 2 watts of power to power the LED clock. This is actually higher than the 1 watt estimate used in the article and would represent a daily usage of about 0.05 Kilowatt-hours. When actively cooking food it uses about 430 watts, I was surprised how low this was since the microwave was sold as an 800 watt unit and seems to be capable of heating food as fast as expected by receipts written for an 800 watt model. The total daily power consumed by the microwave naturally depends upon how much it is used. However, my figures were that the normal usage amounted to about 0.15-0.20 Kilowatt-hours per day. This means that for my microwave, the allegation in the article is not true. However, it is surprising to me that the LED clock is consuming 25-30% of the power of the heating element. Because of this information, I would like to plug out my microwave while not in use. Unfortunately the socket where the microwave gets plugged in is buried behind a press and it is not very easy to get access to so I will have to do some re-wiring before this is feasible. Yes, that seemed very strange to me as well, thanks for setting the record straight. Jeez, doesn't the Economist have fact Checkers? Is working from home a good idea?